Hi everyone! 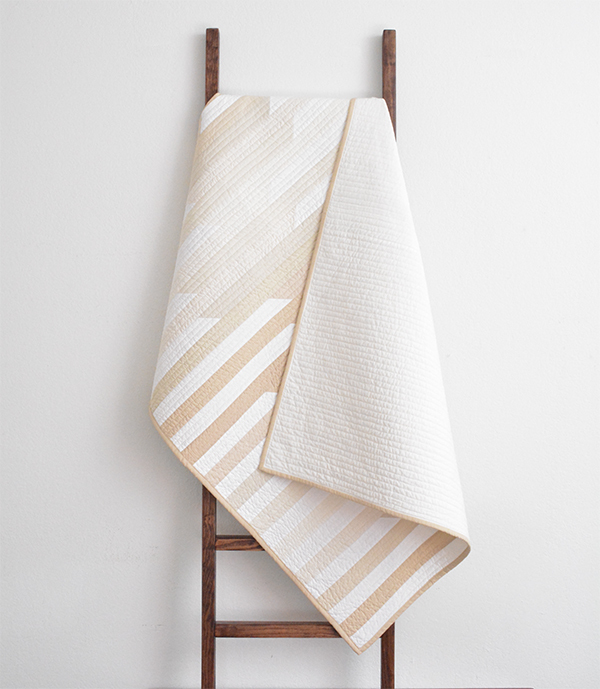 I'm Kristi of Initial K Studio and I'm so excited to be taking over this week. A little bit about myself: Dallas based graphic designer-turned-modern-quilter and specialize in creating modern quilts and decor for the home. I started sewing six years ago as creative outlet from the 9-5 corporate world. 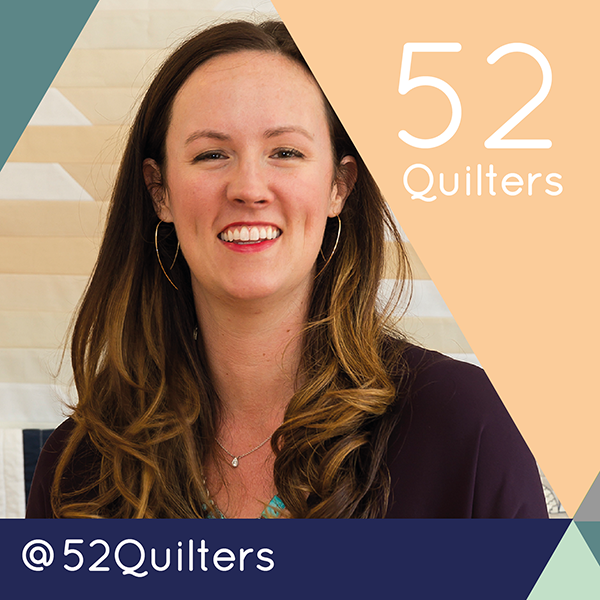 After designing for luxury retailer Neiman Marcus and the award-winning architectural firm Corgan—I left the corporate world behind two years ago to pursue my true passion—modern quilting. Who knew this is where I would be today! 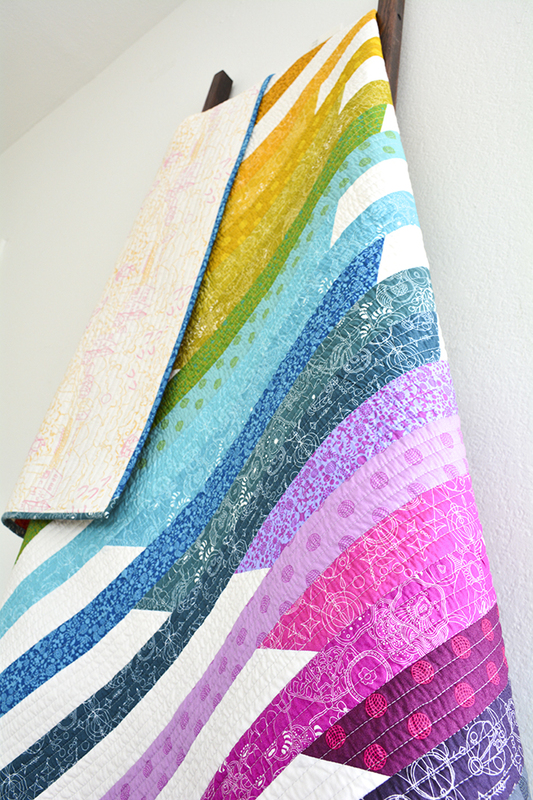 The Cascade Quilt is very near and dear to my heart as it is the first quilt I designed and then turned into a quilt pattern. 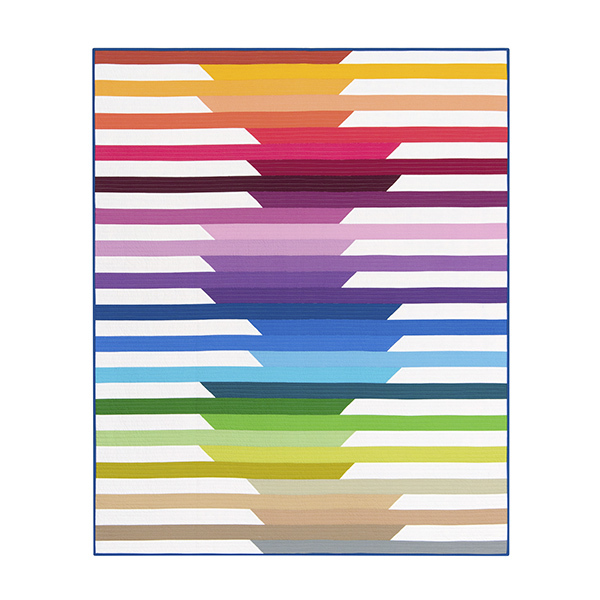 When designing the quilt, my main goal was to showcase the various color-ways of Robert Kaufman’s Kona® Cotton Solids 2O14 New Colors in a simple, but dynamic way. It was challenging at first, but in the end I was really happy with the end result. Since then, I've made the original in various ombre color-ways seen below. 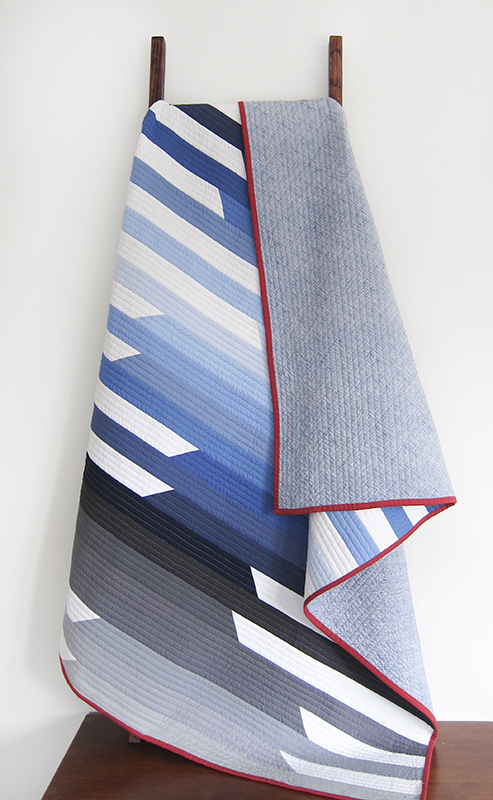 Most recently, I had the chance to work with the talented surface designer and pattern designer Alison Glass and made the Cascade Quilt with her 2016 Sun Prints line. 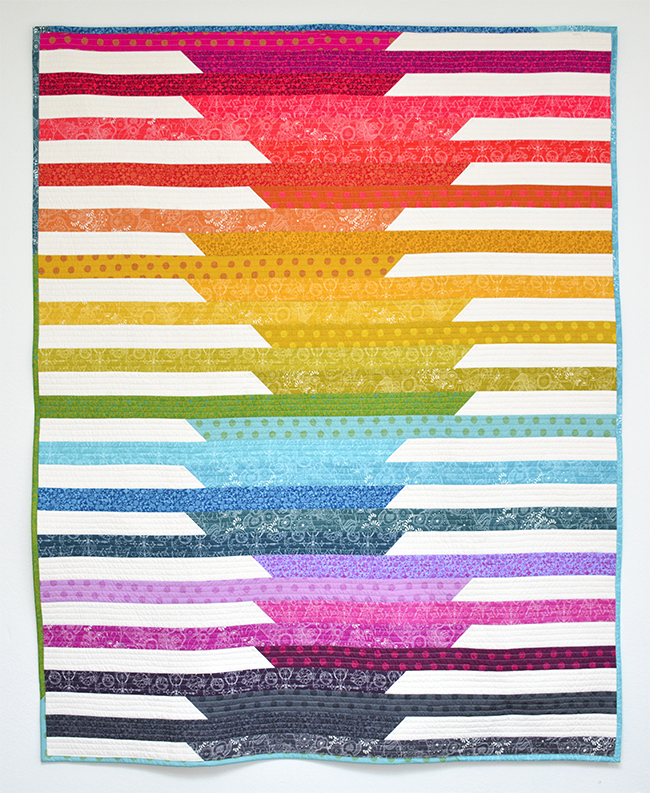 It was the first time for me to create the Cascade Quilt with prints and I absolutely loved how it turned out! Looking forward to sharing with you all of you my current projects, where I find my inspiration and my time at Sewtopia Atlanta later this week!